The 219 Proving Machine, now referred to as the 219 Old Style, was replaced by the 219 New Style in 1948. It features power driven ink distribution, pedal cylinder trip, pedal activated grippers and two swing-out paper shelves under the feed board. Optional equipment included an automatic frisket tower assembly. Maximum form: 18 × 24″; maximum sheet: 19 ¾ × 26″. 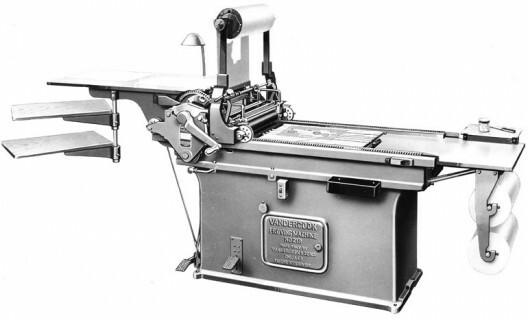 Three dozen 219 Proving Machines are listed in the Vandercook census.